You should arrive from the Clique Kits Blog, but I have the hop list below to help you. So, stamping is still one of my fave techniques! These Precious Remembrance Stamps are so versatile! Got stamps? Then, you can make your own patterned paper! 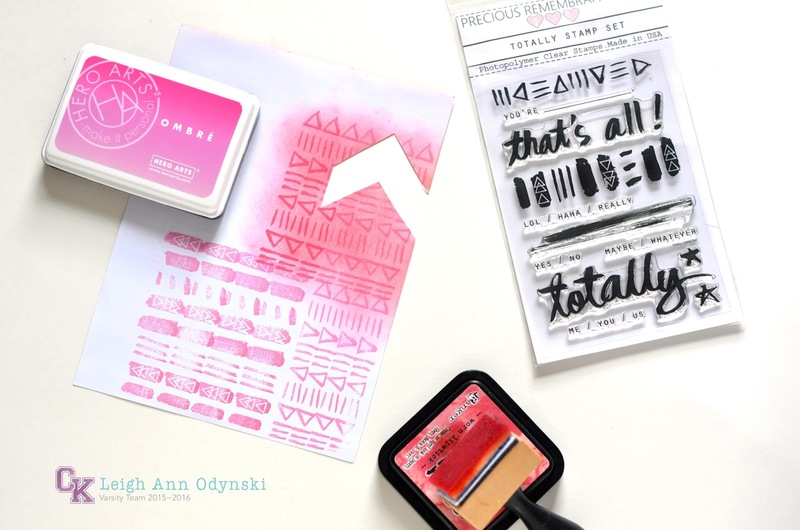 Just repeat stamp until you have covered enough area, and then apply any color ink that coordinates with your layout. I used the Hero Arts Ombre Ink to stamp and the Ranger Distress Ink to blend with an Ink Blending Tool. Then, hand cut your chevron, arrow quill shapes using the first one as a template. Add a combination of straight and zig zag stitching, and lift up the edges of each shape for more dimension. Notice, there are three rows of shapes and four rows of stamping. That comes out to seven, since our eyes crave odd numbers in design. Close up of the title and photo area. Love how the "Totally" title looks when stamped! Like it has been brush lettered! I used the Versafine Onyx Black Ink. Next stop on the hop is the talented Kim! Have fun, and review the list below if you get lost! 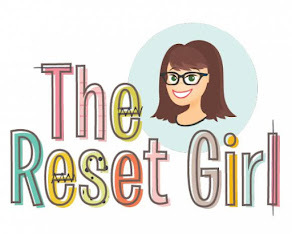 Join Clique Kits and Precious Remembrance Shop for an amazing blog hop filled with inspiration and maybe some prizes!! We will be sharing projects using the August Clique Kit and some Precious Remembrance Shop Stamps! 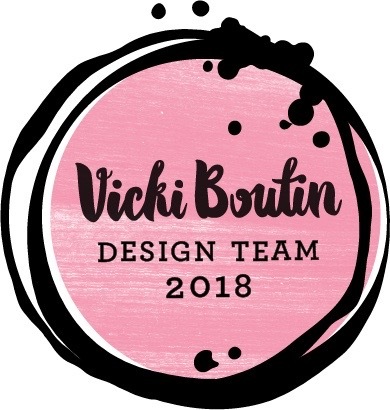 It all starts at the Clique Kits blog at 10:00am CST Get ready to be inspired!! Great design. I like the patterned paper you made and your stitching. 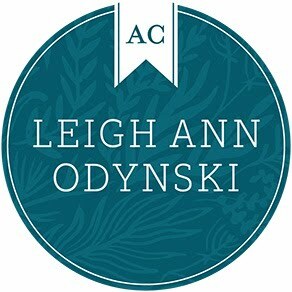 Great idea Leigh Ann. Amazing layout! Love it! :) Thank you! What a cute page. I love the dimension that the stitching adds to your page! Adorable. Love the way you used the stamps with the Chevrons! 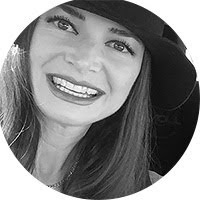 "That comes out to seven, since our eyes crave odd numbers in design." That's a new fact, I'll make note of that. 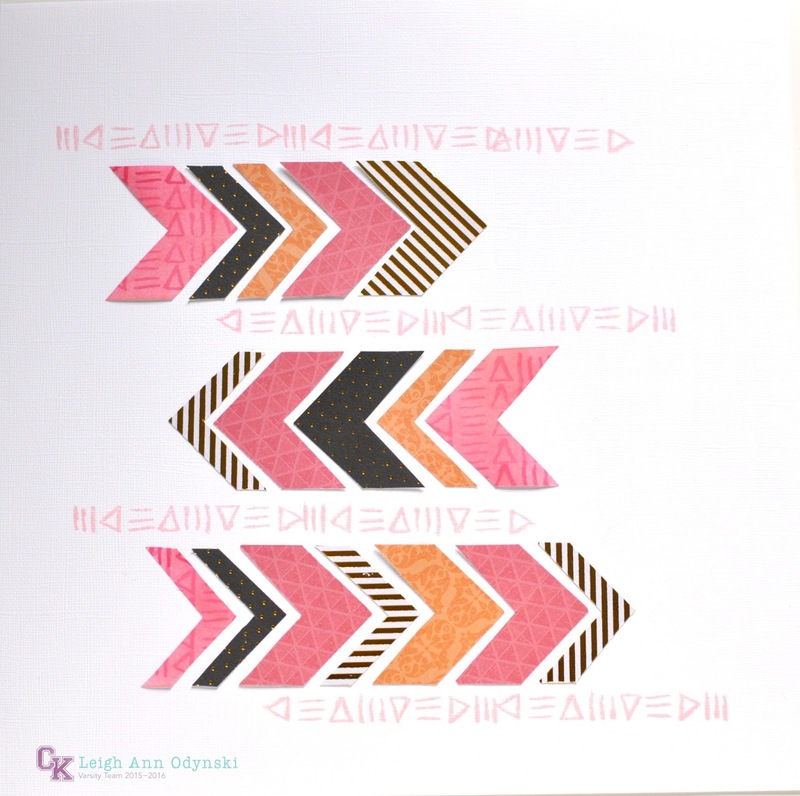 The stamps and the chevrons work so great together!! I love your layout and the chevron background! I love the large chevrons!! This is such a pretty page!! Beautiful layout! Love those chevrons!! I love that you stamped in a subtle way as a background! Lovely as always! This is lovely!! I adore the stamped "patterned paper"! I LOVE how you used the stamps to make patterned paper! 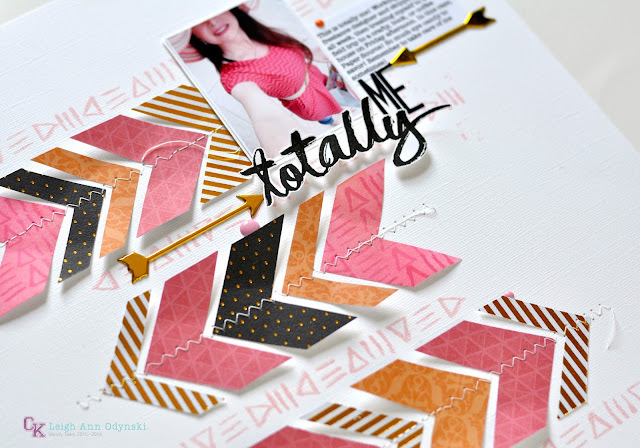 Your arrows are so cool and this layout is totally FAB! What a fabulous layout with stamped background. Love it! This is a beautiful page! I love the colors, and what a great way to use the PRS "Totally" stamp set! 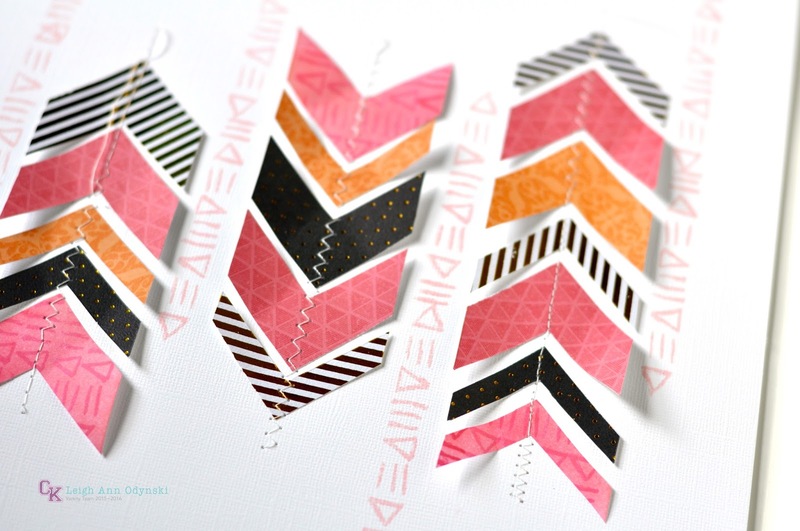 So gorgeous, I love your hand cut chevrons and your stamping is so soft and pretty!